Friday’s Fresh Five! (4/25/14) | What about this? Consider the proverb, “Give a man a fish, and you feed him for a day; show him how to catch fish, and you feed him for a lifetime,” and then consider how it might relate to someone who appreciates beauty and tries to capture it. Thus, in my case, give me a flower and I enjoy it for days; show me how to capture its beauty, and I will enjoy it forever. Many thanks to my sweet sister-in-law for the lovely bouquet of peonies and for the beautiful memories it created. 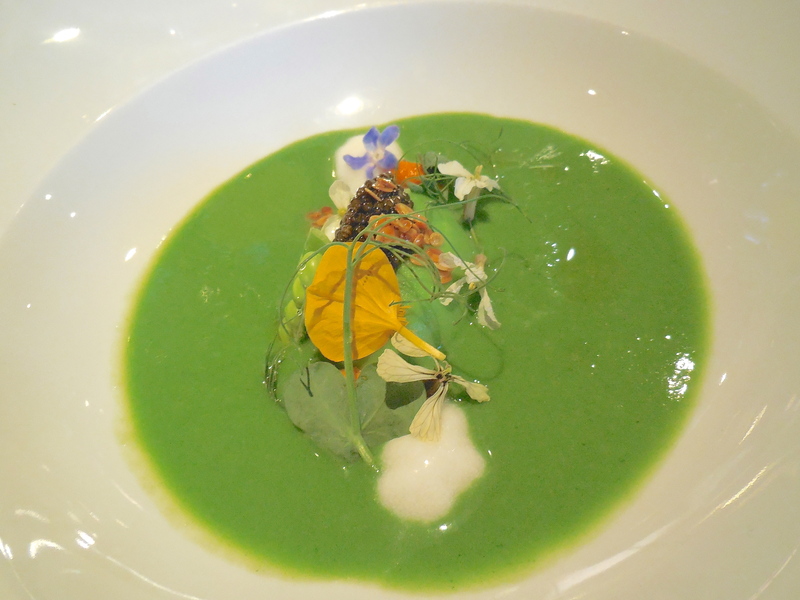 Small flowers and flower petals rested on top of a chilled pea soup. The waiter said, “Eat the purple one separately. It has a wonderful oyster flavor.” Indeed it did. After tasting the unique flavors of these edible flowers, I decided to do a little research into which flowers growing in my garden were edible. If you would like to learn more about edible flowers, check out this article in What’s Cooking America. Please pay particular attention to the “Do’s” and the “Don’ts” sections. 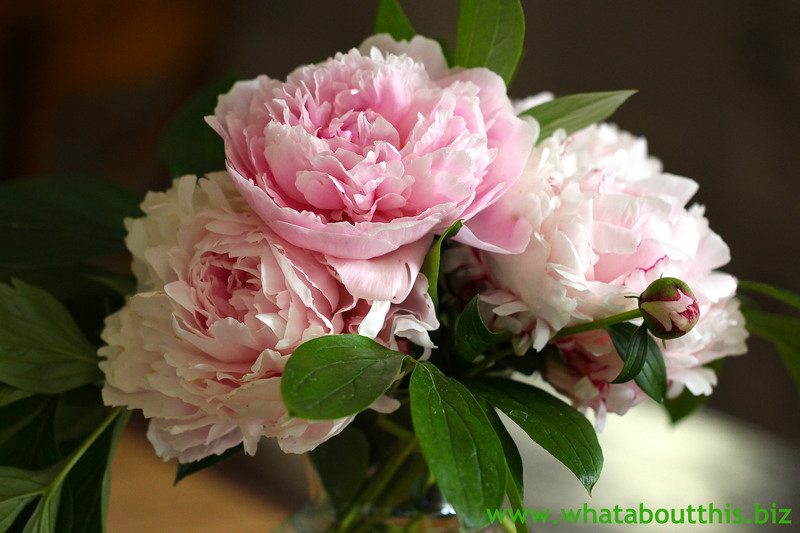 I was pleased to discover that peony petals are on the edible list. Not that I would eat my lovely bouquet! Picture your mom relaxing on Mother’s Day with a gift you made for her. 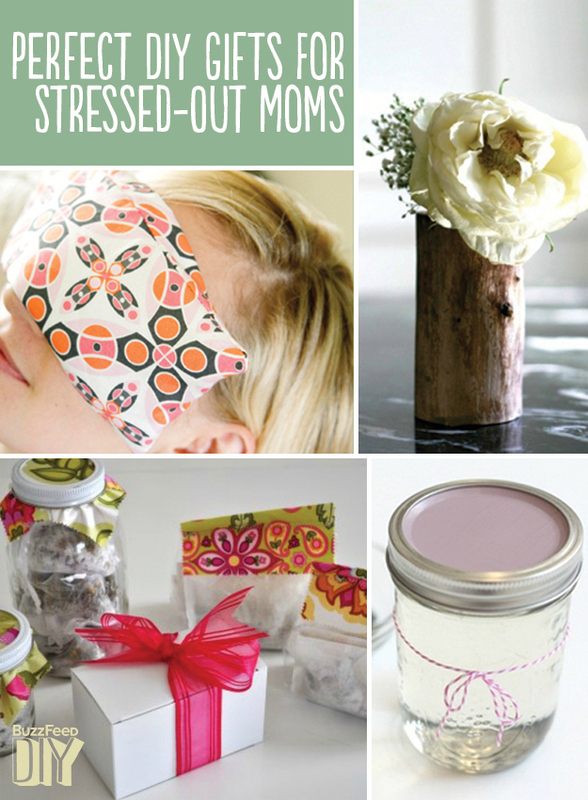 From fragrant flaxseed and lavender eye pillows to soothing lotion bars, you’ll find something nice to make for your mom on Buzzfeed’s 22 Perfect DIY Gifts for Stressed-Out Moms. I want this table! I love the fact that creative geniuses not only invent items that change our lives, but they also re-invent things. They take an existing idea and improve upon it. Check out 10 Everyday Inventions Made Better. To earn a living in Africa, French photographer Yann Arthus-Bertrand decided to become a hot-air balloon pilot. This decision changed his life. As he viewed earth from above, he appreciated both its beauty and its destruction. 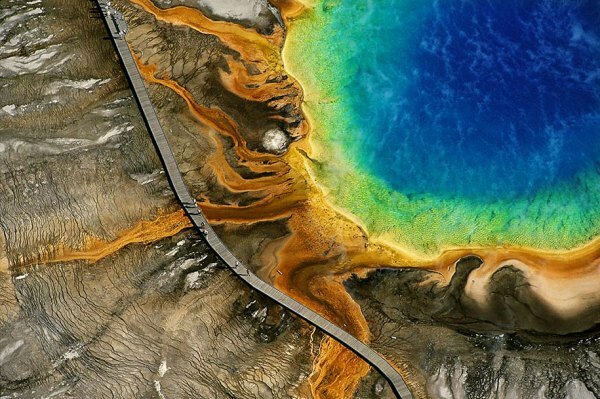 27 Amazing Aerial Photographs by Yann Arthus-Bertrand provides a glimpse of some of his aerial work around the world. On the flip side, his documentary Home views the impact that man has had on Earth. Enjoy your weekend. Now go and spread joy! Subscribe And Get Email Updates! Once you click on the share button, you will be see a window with lots of choices. The easiest way to share this blog is to scroll down through the list to one of the "email" options you subscribe to. After you click on that option, you can enter the email addresses of people with whom you'd like to share this blog.